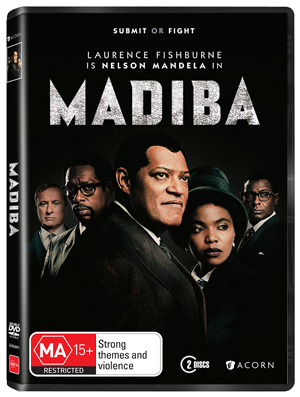 Win a copy of Nelson Mandela mini-series 'Madiba' on DVD | Daily Review: Film, stage and music reviews, interviews and more. Madiba is a six-part event series that tells the epic tale of Nelson Mandela, the globally beloved iconic figure, as well as the many other leaders of the African National Congress – Oliver Tambo and Walter Sisulu – who fought alongside Mandela in the multi-racial, multi-national movement that led to the end of South African apartheid. Madiba is an event series of epic proportions that delivers gravitas, emotion, drama, and undying hope. With an all-star cast led by Academy Award nominee Laurence Fishburne, it is a heroic and ambitious character driven story re-told through momentous true events of exceptional scale and scope. Daily Review has five copies of the full series to give away on DVD. For your chance to win, enter your details here and make sure you’ve liked us on Facebook to boost your chances of winning. 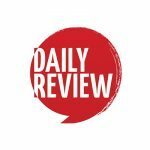 This competition is promoted by dailyreview.com.au and will be drawn on 2/10/2017. The competition is open to residents of Australia and New Zealand unless stated otherwise. Information on the method(s) by which the competition can be entered are found here. Daily Review does not endorse, take responsibility for or provide a warranty of any kind for the prize(s) offered in this promotion, nor do we provide any transportation or accommodation that may be necessary. By entering this competition, you allow Daily Review to share your contact information with the company/companies providing the prize(s) to enable delivery of the prize(s). Love the Daily Review for keeping me in the know with the arts world both personally and professionally. I work in advertising to multicultural and other diverse communities and know whats happening culturally is essential.